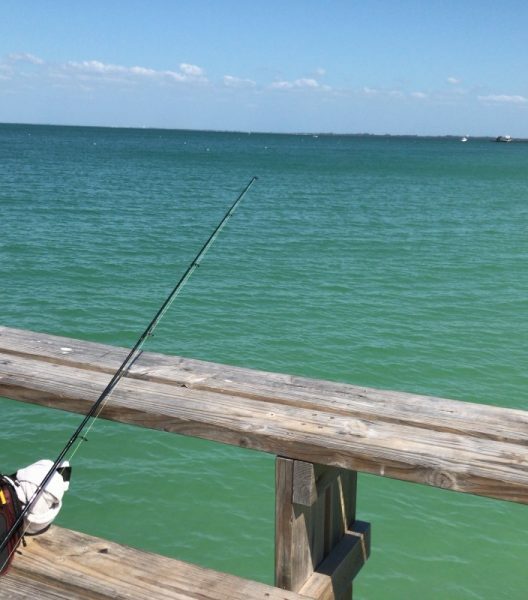 If your idea of relaxing on vacation is catching your own dinner then Anna Maria Island might be the best spot for you. The waters of the Gulf of Mexico are home to an astounding variety of fish, from mackerel and flounder to the sport fisherman’s quarry of sharks and barracuda. With miles of sandy beaches and two piers to choose from, the Island is a fisher’s dream, but before you head out of your Anna Maria vacation rental and start reelin’ ‘em in, be sure to check out the fishing permit and license requirements as well as other rules and regulations. These laws are in place to protect you and the marine life, so please don’t ignore them. If you’re looking to keep two feet on dry land while hauling in your catch be sure to check out some of the prime fishing spots on the island. But first, you’ll need to kit yourself out. If you’ve brought your own gear then fish on. Otherwise, you’ll need to hire your equipment. Fortunately, there are rental stores near Anna Maria accommodations on the island that hire out everything you’ll need for your ideal fishing adventures. One of the best choices is Fun And More Rentals. Once you’ve got your tackle then you need to pick your spot, and you’re spoilt for choice. Some fishing hot spots on the Island if you wish to stay on the land include the Anna Maria Island City Pier, Rod and Reel Pier, the Coquina Beach Bayside and Longboat Pass. Beach fishing is fine and dandy but are you looking for a bigger game? Are you ready to get out and do some deep-sea fishing? If so there are plenty of charters in the area that will take you out to the prime fishing waters. Out in the Big Blue, you’ll be hooking grouper, barracuda, kingfish, sharks and a whole lot more. Want to know the best part? You won’t have to worry about fishing licenses and permits because the charters will take care of all of that for you, as well as all your tackle. There are too many charters on the island to list, but there are some with lots of experience. Captain Tom Chaya of Dolphin Dreams Charters, has been fishing the waters for over 30 years and knows the best areas to stake out. Tom specializes in light-tackle sport fishing so you’re in for an exciting day on the water. If you want a charter with some real Anna Maria Island history attached to it then contact Captain Logan. A fourth-generation islander, Holmes Beach is named after his great grandfather Jack Holmes. Captain Logan has spent his life on the waters of Anna Maria and comes highly recommended. Nothing beats relaxing in the Florida sun, a cool drink on hand, as you play a fish, pitting your skill against its will. 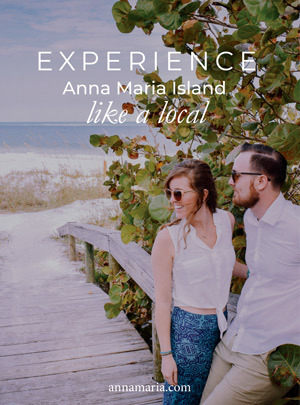 You’ll work up a sweat but when you finally land that big one you’ll have a memory of Anna Maria Island like no other. Want to do it like the locals? “Fishing with the family – Brittany Hartzell and our daughter Alexis. We live in Tampa but once a week we come and kayak fish off of the beaches. We have seen 40″ tarpon rolling right next to us, off of Holmes Beach. We paddled South towards Longboat Pass and fished the reefs. We caught a lot of Flounder, Key West Grunts, Black Sea Bass, Porgy and Lady Fish. Always good family time!” – David Danforth and Brittany Hartzell. Have you been fishing on Anna Maria? We’d love to hear your big fish tales, even if it’s about the one that got away!